Saturday morning and fleeting winter seemed a killer combo to hang up my formal shoes and dust off my casual sneakers. Getting up late and eventually missing the early morning bus, wasn’t too unexpected for someone like me. But when you have a travel plan you have to execute it by any means. I had a small plan of visiting Tikapur, the Banana Land of Western Nepal. 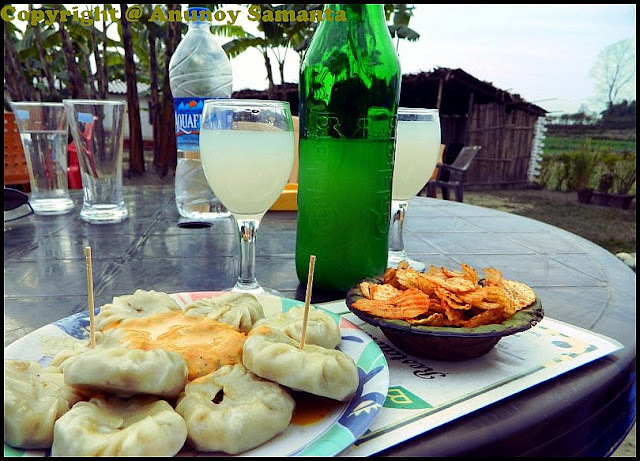 Although Tikapur Park is the hub of tourist attraction at Tikapur, I had made my trip to Tikapur solely in search of banana beverages. There's pretty good connectivity between mid western Nepal and far western regions. If you stand by the East-west Highway, in every 5 minutes you'll find a bus for far western Nepal. With a small backpack and my camera I hopped onto a bus heading to Dhangadi. While my bus kept speeding on the highway through the Bardiya National Park, I remained busy adjusting my legs in the small room and missing my morning tea. 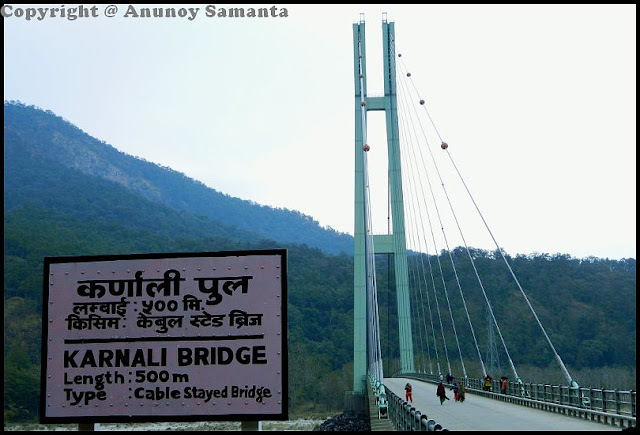 I chose to walk over the beautiful Karnali Bridge and observe the untamed flow of the greenish river underneath. After crossing the Karnali Bridge the bus stopped for fifteen minutes at Chisapani. Instead of taking tea or getting a fresh fish fried, I chose to walk over the beautiful suspension bridge and observe the untamed flow of the greenish Karnali River. There on the white pebbly bank of the river some construction works were going on, perhaps for hydroelectric project. Honking of the bus bypassed my ears due to the nonstop wind over the bridge and, I had to run to catch up with my bus. Soon it reached Lamki from where I had to change the bus for Tikapur. The road from Lamki to Tikapur was fully non-metaled and naturally the bus journey was quite jarring. It took almost four hours to reach Tikapur. From the first glance Tikapur looked much less than a town, with scattered shops and no sign of any peach road anywhere. 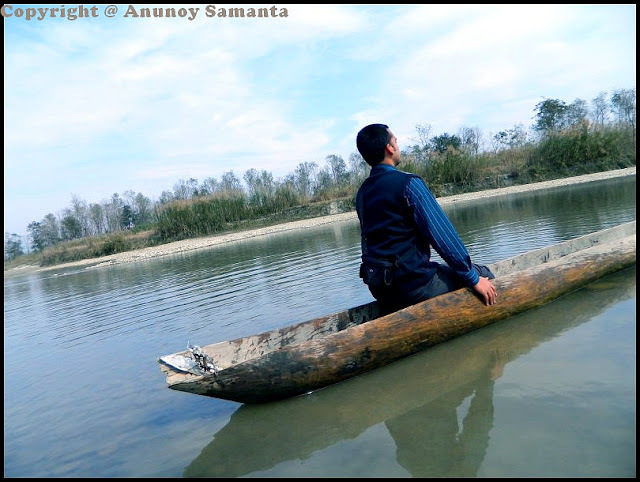 I took off my shoes and stepped onto the rocky riverbed to play with a tree-trunk boat. Tikapur is a municipality in Kailali district in the Seti Zone of Far Western Development Region of Nepal. Tikapur is located in the Terai plains 14 km south of Lamki Bazaar, which is on the East-West Highway. Pathraiya River is located to the West and Karnali River to the East of the town. 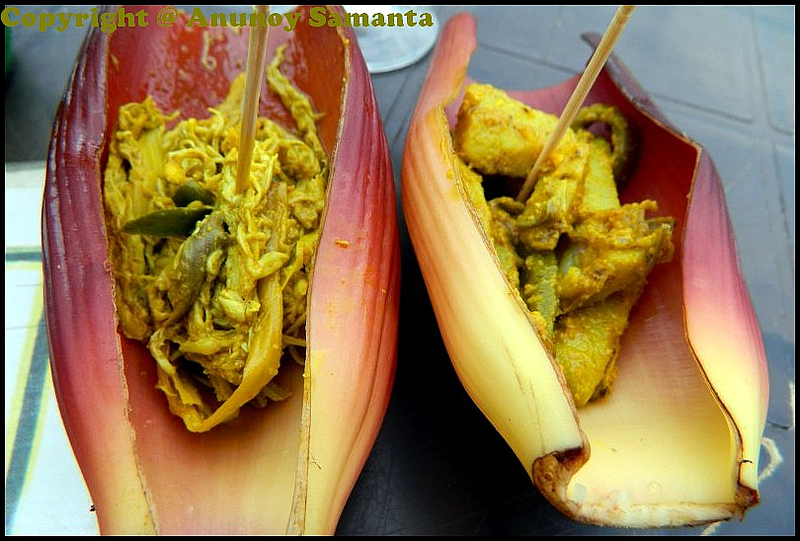 So, what is special about this ordinary looking Tikapur? Well, there’s a beautiful park adjacent to the river called Tikapur Great Garden which is popular among picnickers, and one kilometer away from the park there’s a restaurant called Banana’s Restaurant which is well known among tourists for its banana dishes, starting from Banana French Fries to Banana Brandy. It’s really great that some local businessman exploited the huge banana production potential of the district and conceptualized the agrotourism! Cottage where the former King Mahendra recovered drastically from his ill health to everyone's surprise. I took a rickshaw ride from Tikapur bus-park to the nature park. In fifteen-twenty minutes I was there. Entrance looked unexciting but there was entrance fee to be paid. After entering the park I was more disappointed by its sparse population of flowers and untrimmed shrubs. There were four-five colors of rose, couple of varieties of China rose and a hand few other flowers (or, were they wild flowers?). 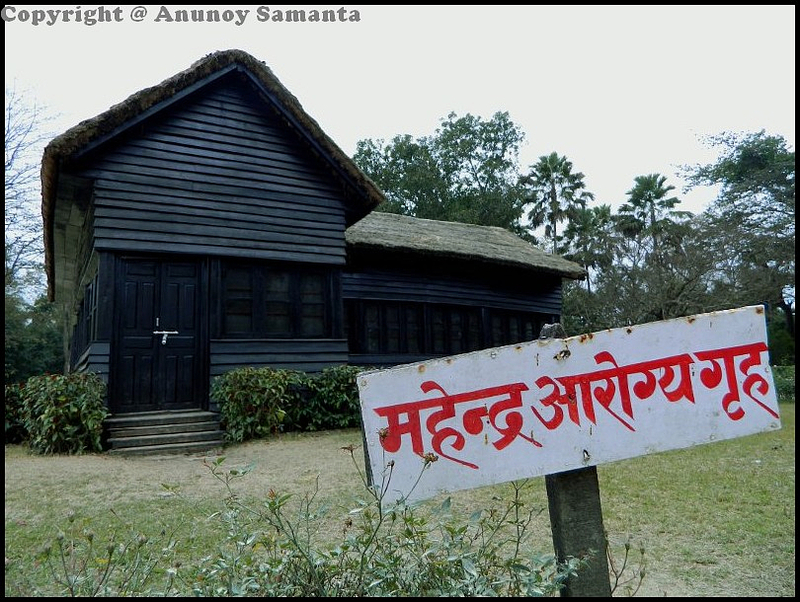 There’s a cottage in the center of the park called- “Mahendra Arogya Griha”, where the former King Mahendra recovered drastically from his ill health to everyone's surprise. Sadly, the honorable King even after achieving good health from that very place did not consider it his moral obligation to do something for the development of the region! Banana momo, banana wine and banana chips. There is nothing without a touch of banana! Loud music of recent Bollywood songs was filling up the air and on investigating, I found the source to be a group of school students enjoying their picnic near the river bank. Again some construction works were on progress by the side of the river, with hundreds of labors, tons of building materials, busy trucks and loading machines. It was difficult to resist temptation of getting down to the shallow knee-deep river. I took off my shoes and stepped onto the rocky riverbed. Oh my bad! It was not that relaxing walking barefoot on those uneven underwater slippery pebbles. I let my flat soles to struggle under the thin layer of ripply water, played with a tree-trunk boat and quited the water fun when my soles could no longer take the blow. A bottom-line message is: if you are in your late teenage with a girlfriend/boyfriend looking for privacy, then choose Tikapur Park as your day-trip destination without a second thought, else you might regret. My rickshaw was waiting for me outside the park and my next destination was Banana’s Restaurant. The menu card of Banana’s Restaurant at Tikapur. Please ignore those funny spellings. The Banana’s Restaurant looked very simple with banana trees scattered throughout their fenced compound. The hospitality was not remarkable yet satisfying. I started with a bottle of banana wine which was marked as a ‘soft drink’. When I inquired to the waiter he informed that there’s only 3% alcohol in banana wine! It thought banana chips and banana pakaudi would complement my so tagged ‘soft drink’. Later I ordered another plate of banana paratha and banana momo to fuel up my tummy which had been starving since morning. The waiter brought complementary banana pickle along with the brandy. I found the banana brandy superior to its wine counterpart. 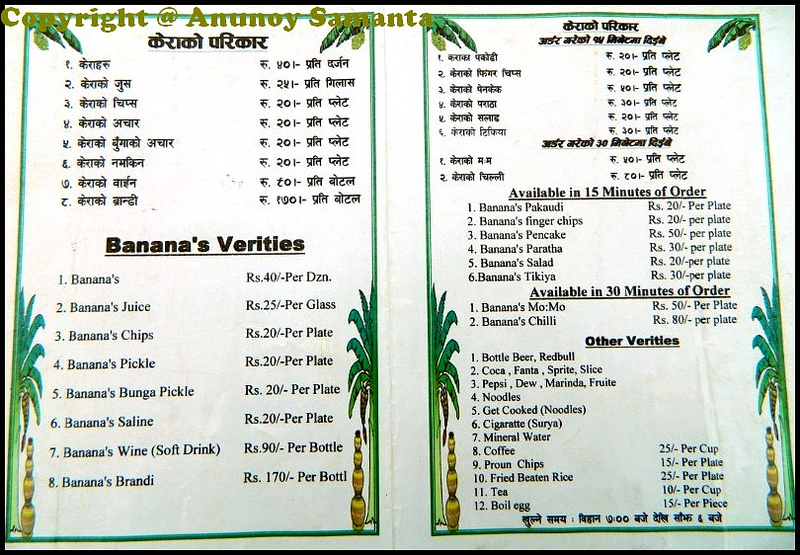 To be brutally honest, I could like only the banana chips, and yea, the paratha to some extent. I'm not saying that other banana preparations were bad, but I feel they taste better in their non-banana varieties. The waiter brought complementary banana pickle along with the banana brandy. 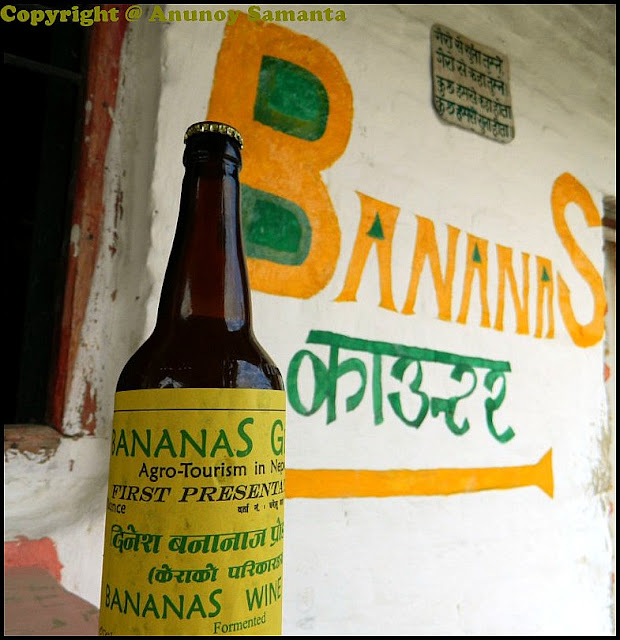 Banana wine looked turbid like any country liquor (desi daaru), and tasted much sweeter (and also sour) like fruit juice with slight smell of fermentation. Soon I was full and realized that my rickshaw had been patiently waiting for a long while. It was the right time to leave Tikapur. I loaded few packets of banana chips and few bottles of banana brandies into my backpack. The return journey from Tikapur to Lamki was similarly uneventful, bumpy and crowded in the local bus. Luckily the moment I got down at Lamki, a Mitsubishi van was almost ready to leave for Nepalgunj and provided me good assurance of a smooth and speedy return journey. It was getting dark very fast. The van ride would have been purely ordinary if there was no screaming goat to accompany us. Imagine a foul smelling goat traveling in a Japanese vehicle... Truly, some experiences you can only earn while traveling in Nepal! Hahahaa... Then I assume you've tasted apple chips too! Banana wine and brandy! Banana momos...woo, these people surely love their bananas!